Have you ever wondered if there is more to life than your corporate 9 to 5? Or maybe you feel like you just fell into your career and it’s just not what you thought you would be doing with your life? Or maybe you wonder if it’s too late to change careers? 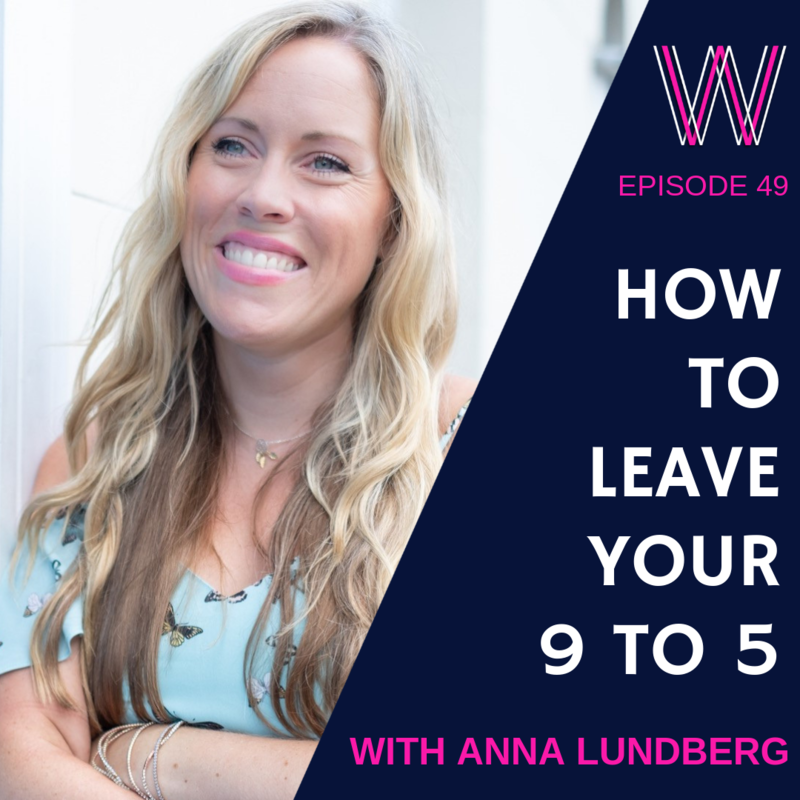 We chat with Anna Lundberg, author of “Leaving the Corporate 9 to 5”. Her book is a collection of 50 stories from people all around the world who have found the courage to create an alternative career and lifestyle for themselves. It will inspire you with the possibilities that are out there and reassure you that you’re not alone in looking for an alternative. Anna helps people create businesses and build a lifestyle that allows them an unimagined sense of freedom, flexibility and fulfilment across different areas of their lives. It is not an irreversible decision! You can learn more about Anna on her website. Check out her book Leaving the Corporate 9 to 5. If you enjoyed this podcast, we suggest listening to Resilience:Overcoming the Impossible, Starting a Side Hustle and Family-preneurs. Lisa: 00:09 Hello everybody, and welcome to today’s episode of Working Women’s Wealth. I’m joined by Anna Lundberg, who has recently just published her book, Leaving the Corporate Nine to Five. Hi Anna, and welcome to the show. Anna: 00:36 Hi Lisa, thank you for having me. Lisa: 00:38 So you have a really interesting that embodies the title of your book, Leaving the Corporate Nine to Five. Tell us a little about it. Anna: 00:48 Yes, sure, so the reason why it fits so nicely with sort of my own story is because I quit my job, I left the corporate nine to five five years ago, and I started an interview series that I called Fearless Fridays at the time, with other people who had done the same, mainly for selfish reasons, so to reassure myself and to give myself lots of inspiration, and advice, and sort of learn from other peoples’ mistakes. So I started that as a monthly series on my blog, and then sort of give years later now I have 50 of these stories. And obviously over time, people around the world have been reading these and resonating, I’ve really progressed in my own business, and I just thought it such a fantastic collection of experience, expertise, knowledge, guidance, that I wanted to collect together for all the other people who I know are out there in the world who are considering, or even starting to leave the corporate nine to five as well. So I’m really excited about it, I feel like it’s really timely, very familiar again personally and in the business I’m doing, but also what’s happening career wise, business wise, out in the world as well. Lisa: 01:55 You were a beauty and luxury marketing, very senior person with Procter & Gamble, and sort of very [inaudible 00:02:02] and very established career. What made you decide to take a really brave step and get off that corporate ladder? Anna: 02:12 Yeah, it did feel very established, but if I rewind back to the beginning, it wasn’t as I think for many people, it wasn’t a very intentional path that took me to that particular career. So actually, as it turned out, marketing was really interesting, it was a great fit for my personality, it got me wearing lots of different hats. Procter & Gamble was an amazing school to learn everything that is branding and business, and so on, I met lots of amazing people. But I had studied international development, and economics, and politics, I’d wanted to work more in sort of UN organizations. So from the beginning, there was a little bit of a disconnect that I felt like I wasn’t quite aligned to the purpose of the private sector and so on. So that was one reason. And then again, fast forward back to I guess 2013, I’d had three different assignments, so I wasn’t massively senior, but I’d been very lucky, I’d had a design role initially, and then more of a commercial operations role. And then for whatever reason, I’d been chosen to head up the digital team in the luxury, beauty … the fragrance department. And because it was quite a new area, there wasn’t really a lot of supervision from senior management, there wasn’t the same kind of organizational support, and I was almost left to my own devices to come up with a strategy, come up with a team, the training, everything, which was amazing. And it also meant that there was no obvious next step for me, there was no sort of career path for what I could do after that, so the roles they were considering for me were sort of, I felt, a little bit of a step back versus where I’d been. So I guess it was sort of a perfect storm of never having wanted to be there in the first place, if I’m perfectly honest. Then having felt like, you know, I’ve got these seven years of experience, it’s time for something else. And also, on the personal side, I’d been in Geneva in Switzerland for nine years, and it’s this beautiful place, quality of life is amazing, I have so many amazing friends there, but I’d been getting very comfortable there, a lot of my friends had sort of moved out to the suburbs, popped out two children, or left the country entirely. And I just thought, “Hang on a second, I need to shake things up a little bit.” So there was the personal aspect to it as well. Lisa: 04:16 It’s a amazing thing, always for me, that so much of where we end up is almost unintentional when we’re young people. It’s often related to the first place you get a job, you know, straight after university or your first or second job. And as you say, you wake up and seven years later you’re slightly deviated from what you thought your original path would be. Anna: 04:38 Yes, exactly, it’s the lack of intentionality, and I think to some extent it’s natural because we just don’t know what we want and what we’re good at when we start out. Even I think we’re far too young when we’re choosing subjects at school, at university, certainly in England we specialize really early. And then when we take our first jobs, so many people I know, well, especially in England, you often study one thing and then end up as something completely different. Anna: 05:00 So people will study geography, or biology, or history, [inaudible 00:05:04] is another one from my university, and then everyone goes into finance, consulting, and so on. So there are certain standard career paths that are seen to be the more academic, more well paid, more stable, more prestigious ones, and I think a lot of just follow that conveyor belt, follow the kind of traditional careers advice, to the extent that there is any advice, and then we just hustle away, and we work, and we get promoted, and we do well, and we enjoy it and so on, and then suddenly, 10, 15 years later, as you said, we wake up and think, “Hang on a second. Maybe this wasn’t quite where I wanted to be, and maybe I want to travel while I’m still young, and maybe I want to start a family, and I’m working too hard to be able to do that,” and so on. There’s a lot of sort of things that bubble up to the surface that have been actually quite quiet for quite a long time. Lisa: 05:49 And when I look at leaving, and where you are now five years later, how intentional have you been in getting to where you are now? You know, did you take any detours, or did you know exactly what you wanted to do when you stepped off that corporate ladder? Anna: 06:05 That’s a great question, and I think the answer is a bit of both. So I was very intentional in the big picture, and I did a lot of work on myself. So when I quit I actually just had a very vague notion of I want to write more, I want to travel more, I might want to start a business, but to be perfectly honest, I had no idea what that really entailed at the time. I had this idea of setting up my own marketing consultancy, and I was lucky via my network and via friends and so on, again, because digital skills are so in demand, I got a couple of really great projects in the first couple years, that really set me up well. But it made me realize that actually this is a step in the right direction, but it’s not a big enough step towards where I wanted to be. So I did lots of soul searching, and reading, and eventually, actually, the way in which I discovered coaching was from my own, again, selfish personal development. I did all these sort of careers tests and quizzes that you always do. I looked at defining what my values were, I looked at the big picture of what I wanted from life. So from that perspective, I was super intentional about knowing that I valued freedom, flexibility, fulfillment, curiosity, family, and so on. But on the other hand, the form that that would take was very organic and accidental. And although, as Steve Jobs says, you can connect the dots looking back and it all makes perfect sense, I certainly didn’t sit down five years and go and say, “Oh, I’m going to have a portfolio career, where I am a coach having people leave the corporate nine to five, and I’m going to this marketing work, and I’m going to write.” A lot of the things that I do now weren’t even on my radar five years ago. So there’s an element of a bit of a leap of faith, where I just had to sort of hope that things would sort out, and then a lot of work, and thinking, and reflecting, and so on as well. Lisa: 07:46 So, it comes across, or it seems that you have quite a clear view of yourself and your journey, as you say, hindsight’s always the perfect science. As you were going through it, did you ever doubt yourself? Anna: 08:02 Definitely, and the biggest shock for me was that I thought I’d made the one big courageous decision, that was it, tada, I’ve quit and I’m going to live this amazing fulfilling life. And of course, little did I know, that was just the very, very first step. It’s a massive step to make that decision, and we shouldn’t underestimate it, but it was just the first step. And first of all, in the first few months, and I’d even say years, it was easy to get tempted back onto job sites, I had recruiters contact me. Of course my parents were worried, and people around would say, “Oh, but don’t you want to have a proper job?” And so on. So there’s a lot of your own doubts bubbling up, other people questioning you, and so on. But I have to say that now is gone, so it’s taken longer probably than I thought it would, and I think we maybe optimistically think that things are going to fall into place right away. But it’s a process of building your confidence, and having the difference experiences that then help you work out what it is you want to do. The good news is, and of course I always say it’s never too late to change, so I say at any age this is totally possible, but certainly if you’re changing in your 30s, 40s, you have decades ahead of you of work. We have plenty of time to have these twists and turns. And I think one of the dangers is we have this very black and white thinking that I’m over here in this corporate nine to five hellhole today, and I want to be over there in this sort of dream land of unicorns and rainbows tomorrow, and while dreams of rainbows and so on will be possible maybe, it’s not going to be possible tomorrow, right, it will take a long time to get there. So I think it’s just taking those little steps in the right direction, but still holding onto that bigger dream in the future, so that you don’t just sort of grab on to the nearest thing after you’ve left, and end up not really fulfilling the reasons why you were quitting in the first place. Lisa: 09:43 And I think it’s been that intentionality of the reasons why you’re quitting that you’ve got to hold quite strongly onto. Anna: 09:50 Yes, 100%. So I talk about defining success, people talk about your purpose, your mission, your why, it’s all those things. It’s the values, it’s the fact that you want to have time for your kids, or you want to be able to travel, or be with your elderly parents, or just take care of your own wellbeing, your partner, whatever it is, you want to find a partner, you know, to understand those reasons because it’ll be multiple reasons really. And as you said, hold onto that, whether you put it on your vision board, or write it on a piece of paper that you keep in your wallet all the time, you have to keep reminding yourself. And certainly, business is hard. And it’s very easy, and I see a lot of us hustling away and forgetting why we started the business in the first place. So for me, the last couple of years as the business has consolidated, my challenge has been to make sure that I’m balancing it with my personal goals, family time, and all those things that I wanted to balance around the business in the first place. Lisa: 10:41 I would say that one of the biggest things are the thins you say no to. More actually than the things you say yes to, because I recently had the opportunity to buy a business, and it was only through going back to the reasons why I left corporate, and going back to my vision of what I wanted, did I then actually have the courage to say although it would grow me and boost me, it’s actually not aligned with what I wanted to do, I will end up in exactly the same position as I was in my corporate nine to five if I do this, you know? So it’s those no things that really test us, because I think innately, we are … I don’t know if it’s competitive, or born into the mindset of bigger is better, and growing is good, and yet, if you lose touch of those reasons why you left the nine to five, you can wake up and actually you’re back in it, but it’s slightly different, it’s not a corporate, it’s your own corporate nine to five. Anna: 11:39 Yeah, I couldn’t agree more, saying no is the hardest thing and I think, again, it’s the sort of stereotype, but it’s really hard for women. And I think there’s an element of sort of ego as well. Because you know, if somebody would call up or contact me and say, “Oh, we’d really love to have you interview for this senior marketing director, head of digital role in Paris,” of course, it’s oh my goodness, this sounds great, and they want me, and I shouldn’t say no to this money and so on, it’s very difficult. But again, going back to your bigger why, if you know what it is you’re working towards then … of course there may be some sort of compromises in the short term, you may need an income stream in the short term, you may need to take on projects and clients that aren’t 100% ideal from day one, but it’s still making sure that you’re not getting distracted and caught up in something that’s then going to stop you from actually doing what it was you wanted to do in the first place. Anna: 12:41 Yes, exactly, and I’m quite a big fan of sort of having criteria, as well. I always think … and in fact, I must admit that this is one of my early bosses at P&G [inaudible 00:12:49] and I’ve told him how I remember this, but he told me when I was looking at different assignments to really define what my top sort of non-negotiable criteria, because it was easy for us to say, “Oh, I want an assignment in New York, and I want to work on this brand, and I want to be promoted,” and you know, some of those things are possible but probably not all of them. So it’s really good to know, okay, I definitely want to move back to New York because that’s where my boyfriend is. And actually I’ll then have to sort of wait for the promotion, or no, the promotion is really important. So that was criteria within your career, but the same thing goes for your business, or for client work, or freelancing projects, whatever it is. So okay, it needs to earn at least this much per hour, per day, per project, whatever it is, it shouldn’t interfere with my holidays, or evenings, or family time. I should be able to work from home, or work flexibly and so on. And just having those sort of criteria just makes it a bit easier to make some objective, less emotional decisions when you’re faced with these sort of offers that you need to say no to, because again, it’s so easy to think like, “Oh, I shouldn’t say no because I don’t have a lot of money coming in at the moment, and I’m not entirely sure what I want to do, so maybe I should do this,” and so on. So definitely learning to say no and having those criteria can be really useful. Lisa: 13:59 So your book, Leaving the Corporate Nine to Five, takes a whole bunch of very different and very diverse stories that you have built through your blog, and the feature post on Fearless Fridays. As you collated it, and you reflected back on each of these people that you’d interviewed over the years, what are the common themes when people decide to start their own thing? So you know, it’s called Leaving the Corporate Nine to Five, is that more often than not a lightning bolt that hits people? Or is it more often than not a gradual feeling that grows in someone that it’s about having the courage to actually step into it? Anna: 14:40 I think it’s rather the latter. I think certainly for me it was a growing feeling inside of me. Now I always said dramatically that it’s sort of soul destroying to want to do one thing, and to be doing something else, and actually not taking action to change anything. So I was telling people, and telling myself, “Oh, I want to work at the UN, I want to write,” and all these things. And yet, I was doing nothing about it, I was staying in that corporate marketing perfume world. And I think that can be something that wears you down over time. Having said that, even though there’s no lightning bolt, usually there is some kind of trigger. So whether it’s a conversation with someone, for me, I had a couple of conversations with pretty much strangers that just kind of made me think, “Oh, if not now, when?” And sort of got me thinking around, for me, taking a sabbatical, and taking seriously this idea that I wanted to write and so on. And for others, it can be something negative, like being made redundant, a personal family tragedy, illness, burnout in your own case that you’ve pushed yourself so hard. It can even be something like actually you reach to promotion that you’ve been working towards, and then you think, “Okay, well now what, there’s nowhere else sort of to go.” So there’s definitely a combination of it being kind of growing inside you, but then there’s usually some kind of trigger for why you decide to do it now. Well there’s sort of a tipping point where the pain of staying is greater than the fear of leaving. Lisa: 15:59 Yeah. And what usually is the biggest challenge that people face when they make this transition? Anna: 16:09 So I think without exception it’s fear. It’s fear of failure, whatever that means, I mean it’s rarely defined, really, fear of looking foolish in front of other people, fear of ruining your career, fear of making the wrong decision, fear of not having enough money and so on. So a lot of that is mindset, and it’s things … you know, working through some, as we call them in the coaching world, limiting beliefs around the fact that we think that a corporate job with a salary is much safer, entrepreneurship is very risky, you can never earn enough money freelancing, you can’t possibly earn a living doing something you enjoy, work is supposed to be stressful and horrible, all those kinds of beliefs. There’s a big mindset piece on one hand. But on the other hand, of course, there is a serious need around money, and certainly when I left, and many of the people in my book that were single and without mortgages and obligations and so on, in which case that’s a little easier just to leave, because you’re only really sacrificing your own needs. But having said that, there are lots of people in the book, you have either are on maternity leave with a toddler when they decide to set up their own business. Someone was doing a massive renovation project, people have been in all sorts of different financial situations. But certainly money is an important concern to address, and I always advise people to sort of get on top of their financials from the start to understand what are they’re living expenses, what kind of income target would they need to have for this to be possible. Because I think it’s easy that those things become excuses, “I could never do this because I have a mortgage, a family, etc. etc. It’s too late for me.” And the truth is that there are hundreds of thousands of cases to prove you wrong. So as much as it’s a bit aggressive to say that you’re just making excuses, so if you do want to do it, you can come up with the parameters under which this would be possible for you and then put a plan together. Again, maybe you won’t be able to quit tomorrow, but certainly there’s a way, and of course we talk a lot about side hustles now, this idea of having a business alongside your full time job. So of course you still need time to work on that, which is one the other assets that we don’t have enough of, of course, but certainly there are ways in which to manage that risk and the financial side of things as well. Lisa: 18:15 For those people that do have those really challenging financial commitments, are they more successful if they transition slowly into it, either starting a side hustle or going half day, or whatever, or is there a sense that in actual fact to make something work there comes a point when you’ve actually just got to step? Anna: 18:33 I think under any circumstances, there definitely comes a point when you have to step. I think from an intellectual, and reasonable, sensible standpoint, I’d always want to advise that building it up gradually alongside your full-time job is the better way to do it, because you’ll validate your business idea, you’ll find out if you even enjoy it, because maybe you hate it, whatever your idea is. You work out even what it is you want to do, because maybe you have no idea, and you’ll have the time to build your audience, get your client base, and so on. That all sounds great, but then of course at one point you will have to say, “Okay, well by December, or by the time I have at least X amount of money coming in per month, or X number of clients, then I’ll quit.” The problem with that is that we already potentially overworked, burnt out, don’t have enough time for kids and family, we need to go to the gym as well, we need to healthy, all these things, we have hobbies, to add a side hustle on top of that is potentially a difficult thing to do. The good news is I think you absolutely can usually make time for it, there are some compromises and sacrifices that need to be made. And also, again, coming back to what we were talking about a few minutes ago, when you have this really strong why, and mission, and purpose, and all those lovely words, the beautiful thing is actually that gives you a renewed sense of energy and motivation. So somehow, having been really drained and sick and tired of your work, and so on, all you want to do is go home and watch Netflix, suddenly you’re sort of reinvigorated and you’ll find the time, because you’re so excited about this project, and the possibility that it’s going to bring. So there’s no easy answer, and there are people in the book who’ve just taken the leap, there’s a whole section of people who’ve just gone, “You know what, I don’t want to stay anymore.” It can then take longer to get the business up and running, or because you’re so focused and you’re so desperate the get the money coming in, actually of course it can happen faster. So there’s no easy answer to it, but the important thing is to really think about your situation, your time available, your money situation, and what you feel … I would say what you feel comfortable with, you’re never going to be 100% comfortable, but certainly comfortable with the level of discomfort if that makes sense. Lisa: 20:34 Absolutely. And you know, when I reflect on my own transition, it was three years from deciding that I wanted to do it, until full time. Of which there was a year where I was half time. And one of the challenges, you know, I had to retool, I had to re-qualify, I went back to university, all that kind of stuff. And when people used to say to me, “How do you do it?” It came down to how badly do you want it? And that was the reality, is that I badly wanted to be able to attend my little girl’s [inaudible 00:21:03] matches. And being able to do one [inaudible 00:21:06] match a year, meant that the other two would have to wait another two years before they got their [inaudible 00:21:11] match. And so I really badly wanted to create the flexibility, my why was so strong, that those sacrifices were a lot easier to digest. It’s never easy waking up at 5:00 in the morning to do whatever you need to do, or 4:00 in the morning, it’s never easy, but you a pull as opposed to having to try and push yourself from the bottom of the willpower pit to get there. And I also think that the other thing that we all need to sometimes put into perspective is that this journey is a marathon and not a sprint. So for a couple of years, yes, I didn’t really have much balance in terms of seeing friends, and all of those other things, because I was focused on the transition. But, right now, I have way more balance than I’ve ever had in my entire life. It was a means to an end, that transition from nine to five to freedom was three years of a really tough transition period. But it does come to and end, because there is a point at which you then do become economically stable, and you don’t have to do the type of hours or things that you needed to do in order to parallel park a nine to five and a side hustle at the same time. Anna: 22:20 And there’s one of those sort of cliched quotes that do the rounds on Instagram and Facebook, I’ll see if I don’t butcher it, but it’s something along the lines of an entrepreneur is someone who will live like most people aren’t willing to in order to live as most people can’t, if that makes sense, or as you said, in the short term you’re willing to put in more effort, get more uncomfortable, put aside your ego, make some sacrifices, exactly so that you can have all these things everyone else says is impossible. The only caveat I’d say is that, and certainly I’ve found this, that I’m a bit skeptical to this kind of hustle and pushing yourself, and you know, the Elon Musk, and Gary Vaynerchuk and so on, like never sleeping, and working all the time. Anna: 23:02 I think the danger is if you build a business like that, a business that requires you to work ridiculous hours and so on, then that’s the business you’re going to have. I mean, of course as you said, if you’ve got a family and a full time job and you’re building a business alongside, not to mention all the other things in your life, of course you will be working hard, but it’s important that you already from the start build the business with your own wellbeing, health and fitness in mind, with that family time. Set those boundaries from the beginning, learning to say no and saying no to clients who are taking the mickey when it comes to pricing, or being unreasonable with deadlines and so on, and even beginning to sort of outsource and hire a team early on, so that you build a business that’s going to be sustainable, as you said, because it is a marathon, not a sprint. Lisa: 23:43 Yeah. So, none of us are able to do this by ourselves. What are the most successful support mechanisms that the people in your book have used in order to ensure that this is as smooth a transition as possible? Anna: 24:01 Yeah, it’s interesting, and that’s one of the messages that comes out really strong in the book, but it’s also something I see people struggling with. And I’ve had clients come to me, work with me, and said, “It’s been really difficult for me to ask for help.” I think a lot of us are these high achievers, we’re smart, we’re capable, we’re competent, we’re used to putting our heads down and working hard, and we feel like it’s a weakness or we should be able to manage this by ourselves. So I think that is a really important message that comes out through the stories. I think the first thing is simply to … well, I call it, and a lot of people call it find your tribe, in that probably if you’ve been working 10, 15 years or more in this corporate world, your friends, your people around you, your colleagues, they’re all in that bubble, certainly that was the case for me in Geneva. So, I’m not advocating dumping all your friends and family, but it may well be that you need to get out of that immediate circle, go to an event, a conference, join Facebook groups, I had my One Step Outside Facebook group, pretty much everybody has some kind of Facebook group now for whatever niche, whatever particular sort of area you’re interested in. And meet people offline as well, so find people, listen to podcasts, just immerse yourself in alternative ways of living, and working, and so. Because then you realize how much is possible. In fact, if you can, I’d say travel. That’s what I did during my sabbatical before I made the decision to quit, it was three months across South America, and I met people who were unemployed, they’d quit their jobs, they were retired, they were all sorts of ages, single, married, etc. etc. and it just kind of opened my eyes to other possibilities. So that’s one thing, to just get out of your bubble. And then another is of course to find mentors, coaches, role models who are just a few years ahead of you. And again, the great news is there’s lots of free content, there are podcasts, I do a live in my Facebook group every Wednesday, sort of a free training, I’m in there every day asking questions, I publish blog posts every week, and send emails and so on, there’s so much free content available now, so that’s a great place to start. And then when you feel that you’ve someone who you really resonate with, who you really feel could take you to where you want to be, and certainly is where you want to be perhaps now, then definitely some kind of … either one on one coaching, or a structured course or program, especially for example if you’ve quit your job, the danger is that you are almost too free, and that euphoria that you have at the beginning can very quickly descend into panic. And I think several people in the book said it’s really important to have that accountability and structure so that you don’t fly too free. And likewise, again, as we said with the side hustle, you only have … let’s say someone was saying the other they had 10 hours a week to work on this. That’s 10 hours, that sounds great, but that includes all your business development work, finding clients, accounting, marketing, it includes the actual client work as well, so you need to be damn sure that you’re doing the right things in those few hours that you have. And rather than take years to work that out and try to find out the answers on forums, and websites, and so on, working through a structure program or working with a coach is going to save you so much time and wasted energy on kind of fumbling through. So often you either have time, or money. So if you have loads of time, then by all means go out there and try to find the answers yourself, and then again, there is a lot of information, certainly there are ways to make it a whole lot faster and easier, and more fun, which is important too. Lisa: 27:27 And also understand it’s an investment. So I mean, I have spent a lot of money over the last year doing very, very good paid for courses, coaching, group type stuff, because there was a lot I needed to learn. I had ran huge big business units, and done huge big things, but you have no idea until you’ve actually tried to run a single person business, which obviously is what we all start from, you need some help in understanding how to do all of this when you have to be both the sales and marketing person, and as you said, the accountant, and this, and that, and the next thing. And you need to make sure that you get the support. And I have not spent one dollar, rand, pound, whatever it is, that I regret, because I researched, as you said, the people in either their forums, or the people who I kind of had identified that could help me, and so by the time I actually invested in taking a step to pay for a deeper level of personal access, I was fully confident that this person would be able to teach me what I needed to learn, and I always have. And I’ve had huge return on investment from that. Anna: 28:36 And I love that, and I think it is a mindset piece. 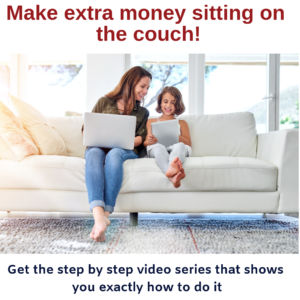 It’s sort of … it’s investing, it’s not a cost, it’s not sort of another expense, this is something that is helping you achieve all your other goals in the business. And my coach actually always talks about the fact that people seem to want to sort of say, “Okay, I’ll put gas in the tank when I get to my destination,” and you can’t do that, you have to put the petrol in first in order to get there. The same thing with working a coach, or investing, as you said, in a particular skill, or in terms of maybe even hiring someone, doing the work, you need to sort of put your neck out there and take some risks. Get on actually, yeah, hiring a team. Again, same thing. The only thing I would say is, again, the tendency that we have, because we’re these high achiever, CV people who have these great universities, and companies, and jobs on our CVs, a lot of people feel that they need to now go out and do a two year MBA at Stanford, or they need to do a four year therapist course, whatever, and it may be that you need some kind of formal qualification once you’ve worked out exactly what it is you want to do, but I would say don’t rush into spending lots of money on some immersive course, 10,000, whatever it is. Anna: 29:40 Or you’re super clear, and that’s absolutely your [inaudible 00:29:43]. There’s so many other things you can do to first of all get clarity on exactly what you want to do, but second, move the business forward, that doesn’t necessarily require years and years of formal training. Lisa: 29:53 So one of the questions I love that you ask is what is the one piece of advice that you would give to others that’s embarking on this journey? And obviously with so many stories, there are so many different pieces of advice. Were there three things that came up that were common? Anna: 30:09 There were loads of things, and as you said, yeah, there’s absolutely diversity, but I have to say the one thing that comes out, everybody says, do it, just take the step. Just buy the ticket, do it, you’re not going to regret it. Out of all the stories, there are some people who’ve gone back to full time employment, and even they say, “I don’t regret this. This year out, these couple of years out, I’ve met the most amazing people, I’ve learned things, employers are now more interested in me because of the project that I was doing while I was off,” and so on. And everyone says, yes, you can have a plan A, B, C, D, etc. But as we said, at some point you do have to just take the leap. My brand is One Step Outside, I’m always going on about taking that one step. It doesn’t have to be a massive leap, don’t go and quit your job this afternoon, but maybe book a coffee with that girl who you know who has quit her job, or was a coach, or whatever it is that you want to do. Or maybe research a course or a program, or join a Facebook group, or download a podcast, anything. Just keep taking little actions, and you’ll be surprised over time that can build into a massive transformation. Lisa: 31:13 Absolutely. I remember when I was having to have the courage to actually do the resignation process. And went off then, then a year later leaving. And I walked in to the HR woman’s office, she was one of my colleagues and a wonderful woman, and she had these cards on her desk, and I said, “What are those?” And she said, “It’s like tarot cards for HR.” So I said, “Okay, so what do you do?” And what they were were coaching cards with a coaching question on it. And so she said, “Shuffle the cards and pick three cards randomly.” So I did that, and you know, when something is meant for you, it jumps up and slaps you across the face. And the question was, what would I think about this decision in 10 years time? And I knew the answer was I wish I could have done it sooner. Then a year later when I was finishing my half day job and going to have day one of full time Lisa, I then went to say goodbye to her and her cards were on the table, I said, “I’m going to do it again.” Because you know, it’s terrifying, that actual closing that door on the stereotype of climbing the corporate ladder, and kind of stepping up to full time being by yourself. I was so ready, I wouldn’t have done anything, but there’s still a part of you that goes, “Oh my goodness gracious me.” And I remember choosing the three cards and I got the exact same card, and there must have been about 100 cards in that pack. The exact same card was what would you think about this in 10 years time? And the answer was as clear as it comes. I would’ve wished I could’ve done it earlier. And I really can understand why the most common advice that those people have given is just do it, because I do agree with you, I think so often we think that this in irreversible decision. That it’s on my own, or never and I can’t go back. And it’s an absolute load of junk. You go, you try it, you do it for a year, when you go back to corporate and having employed people who had gone and done their own businesses in the period, I always used to find them much more engaged employees. Why? Because they didn’t think that the grass was greener on the other side. They’d gone to the other side and decided that for them that wasn’t the right decision, so they came back really engaged, grateful to be back, and learning lots of things. None of this process is irreversible, it’s not cast in stone. It’s a wonderful, long kind of marathon we’re on, journey. Anna: 33:33 Yeah, I love that, and I love your tarot card story there. I think it, again, comes down to intentionality. Because we’re not saying that everyone should quit their job, or be an entrepreneur or any of these things. The sad thing I think is when we come out of school and university, I think we go out into the world, and I certainly, we’re quite arrogant. We think anyone would want to hire me, even though I have zero experience, I thought that all these UN organizations and companies would be thrilled to have me. As it turned out, nobody wanted me. They only wanted me for free internships and so on, it’s hugely competitive. And people around me had been 10 years in Kosovo, or whatever, so of course I wasn’t qualified. But somehow I was naively optimistic and thought I had everything I needed. Even in the Procter & Gamble marketing job, I’d never studied business management studies, I didn’t even know what marketing was really. And yet there was I was in the office, no problems at all, learning, I did things, I worked hard, and I did really well. And I think unfortunately we lose that. So fast forward 15 years, we have way more life experience, professional experience, soft skills, hard skills, and so much more to offer. And yet something’s happened with our confidence, our comfort zone has shrunk round us. And now suddenly we can’t even consider doing anything but this one job that we happened to fall into 10, 15 years ago. And the truth is, there are so many transferrable skills. We’re smart people, we can learn new things. To be honest, the bigger picture of the economy, and careers, and pensions and so on now is we’re going to have to have two or three different careers if not more over our lifespan. So it’s only a good thing, regardless of whether you want to quit or not, to always be developing your skills, to be keeping your eyes open for new opportunities. Maybe even just building a side hustle with no dream of ever making it full time, but just having that as an experience. And again, as you said, that’s going to feed back positively into your full time career as well. So it’s just going back to some of that curiosity, and optimism, I guess, and confidence, that we had when we were younger, and bringing that back now, when we actually do have more experience and expertise than we did then. Lisa: 35:33 Absolutely. I mean, life is very serendipitous. And this morning on the school drop off I ran into an amazingly talented human, and we were discussing this whole thing of kind of taking the plunge, and I said to him, even as a financial advisor’s wealth manager, my view is it’s better to retool for a longer, more sustainable journey, than it is to try and … so pause your investment in your pension and all of those good things for two to three years, and retool in something that is sustainable for longer, than it is to sit and pile up the cash. Because in many corporates, they hoof you out the door at 60 or 65 or whatever it is, it is far better to be able to retool yourself in something that you love doing, and could do until you save until you’re 75. Not necessarily full time, but on your own terms and your own manner, because it just gives you a lot longer runway before you have to start drawing on any form of retirement or investments, or things like that. If there’s 1,000 pounds or 10,000 rand or something that you don’t need to draw from your investment every single month, that can certainly grow much better for much longer. So I think a lot of the times people forget that we will be working longer. Retirement age of 65 was created when the average age of dying was 63. So, now the average age of dying is roughly around 80, so theoretically we should retire at 82. So with this longer life, and this longer journey that we’re one, it’s so important that we are able to create a sustainable balance of this work that we’re going to do, for something that we love rather than for something that is just paying the bills. Anna: 37:20 That’s great perspective. And I think unfortunately the money question, again, is very difficult. I mean, I know the level I was at P&G, I was finally getting to the place where they we were really locking me in, because they were giving me stock options and things that were very much tied to staying within the company. So of course the more senior you get there as well, the more it seems like it’s impossible to get out of it. Interestingly, someone said to me a few years ago, by definition a company’s never going to pay you your worth. Because if they did they wouldn’t make any money. And I’m not sure if it’s that simple, but it’s an interesting perspective. 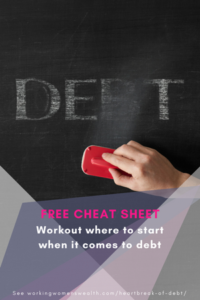 And actually, as much as we think it is riskier and so on, running your own business, setting your own rates, setting your own boundaries and so on, is much more empowering in terms of taking control of your finances and your wealth potentially and so on. So you may not become, and certainly I have no ambition to, or hope to become Richard Branson and so on, but certainly there’s a lot of scenarios in between the struggling freelancer who can barely get by on the one hand, and the sort of Richard Branson entrepreneur billionaire on the other. So obviously again it comes down to what it is you want, but certainly there’s a possibility of earning more than you did in your full time job. And, for most people, it’s not about the money. It is about the family, and our health, and living life, and so on. Lisa: 38:33 Absolutely. And I mean if you’re working from home, there is portion of your money that is pretax and not post tax, because there are the expenses that you need to run your business parallel. But one of the things that you talk about that I really resonate with and have thought deeply about, is this whole thing of re-imagining success. And it relates around the whole fact that we are quite drawn into these prestigious titles, and salaries, and things like that that go with the attraction, and also the challenges of a corporate career. Tell me a little more of that. Anna: 39:10 So yeah, something I’ve thought about the last few years, and I’ve done a few talks on it, and I always start by actually sort of digging back into the history of work, and in a way how we’ve defined success over the centuries. And I was interested to find that the word for work, and I think it was in ancient Greek, was [inaudible 00:39:28] which was sort of pain and sorrow. And if we remember the ancient Greeks and Romans really valued leisure time and work was something that slaves did, I mean this is not a good thing, but you know, it certainly wasn’t something that they intentionally thought was a good thing. And it was more philosophy and art, and lying on the couch eating grapes and stuff, you know, so that was one element. And it was really sort of the Protestantism and Luther and Max Weber and so on that led to more of this kind of work ethic, which is great, of course. But you know the fact that we weren’t supposed to advance, our parents had a particular profession, and we weren’t supposed to evolve past that. Then of course industrial revolution, the kind of typical Ford factory where artificial lighting meant that we could work for even longer hours, we were clocking in, clocking out, and so on. Then ironically and interestingly in the context of the book, the nine to five was actually a blessing, right? The 40 hour week was supposed to be an improvement in the 1800s for people to work less, actually, than they were doing. So it was supposed to be a step forward. Actually also came across a prediction by John Maynard Keynes who said that we would only be working 15 hours weeks in the future because of the evolution of technology. And you may have heard of Tim Ferris’s famous book of the four hour work week, saying we should only work four hours a week. So no, the question is why on earth are we pushing ourselves so hard and working so much? And I think there are few reasons for that, and we’re very socialized to this way of life. That’s a very sort of fast non academic view of history that I’ve just given you, but it’s just to illustrate that it’s a very recent phenomenon, this whole idea of working. Certainly of course there are more women now working as well, technology means we can work for anywhere, so we’re working evenings, weekends, holidays, and so on. So the whole idea of re-imagining success is going, “Hang on a second, this lack of intentionality, the conveyor belt that’s taking me towards this rather bleak world in which I’m just working harder, and harder, and harder for little reward, not really making a meaningful difference in the world, not having the time and energy to spend on the things and the people that matter most to me,” and so on. And again, if you feel like this is your definition of success, it is very important to you get that promotion, to become CEO of this company, to have this stable salary and the big house, and the mortgage, and the so on, then that’s really important to recognize as well. But for many of us, that definition of success is going to look very different. And if so, that’s something we want to get really clear on, so that we then can take the steps towards working towards that definition of success, rather than this other one that we’ve inherited. Lisa: 41:59 Your work has evolved to the extent that you spend a lot of time helping people re-imagine success. What are the tools that you use to help people re-imagine success? Anna: 42:10 Well as you can imagine, it’s a lot of questions, it’s a lot of asking what’s really important to you, digging into your fundamental values, a few of those criteria and things. I came up with a model actually that I called the five L’s, that was intended to broaden our perspective away from the nary work domain. So career and impact is part of the puzzle of our life, but work is only part of life, that’s why I hate the idea of work life balance, it’s sort of puts work and life on the same pedestal, which I think shouldn’t be the case. But the other parts of that circle are also learning, for example, development and growth, and love, relationships, romance, even fun, spontaneity, and also health and wellbeing. So just sort of opening peoples’ eyes to the different areas of their life that matter is a really important piece too. I of course work one on one with people, and then I can really tailor the program for them, but I also have a group program now where people work through six modules. The first module is exactly this, taking a step back, not even thinking about businesses and so on now, but really just thinking what’s important to me? What’s the big picture vision for me in my life? Then working through those fears of failure, and so on, the money issues. And only then actually beginning to develop and define the business strategy and so on. So there’s a lot of work to be done, but I think the biggest one is to start with what is success for you? What is important to you, because you begin to worry about how are you going to make it happen. Because we often get caught up in how difficult something’s going to be before we’ve even worked out of it’s something that we actually want to do. Lisa: 43:42 Yeah, absolutely. I mean, one of my interviews with Gloria Mitchell, something profound that she said is that the difference between people who are Olympic athletes and highly successful people and the others is the difference between probability and possibility. If you keep focusing on the probability of being successful, or being able to make these transitions, you come up with all the reasons why you can’t do it. And part of it is to say what is the possibility of a great life? And if one person somewhere is able to achieve it, it’s possible. Then, if it is possible, it’s a much more forward looking thing, whereas we all kind of say, “Well, you know, it’s highly probable that I’m not going to have enough money in the short term, and that we’re going to have to struggle, and we’re going to have to do this.” Meanwhile, actually, until you go through a deep process of understanding your transition, there are far more possibilities of things to go right than we ever contemplate. Anna: 44:37 Oh, I love that, I’ve not heard of that before, the possibility versus probability, but that’s great. Lisa: 44:41 It really is a fantastic journey. I mean, when I look at my journey I sit there and I think to myself, I have learned and grown more in the last 18 months than I probably did in the eight years before that. And things that I never even imagined, so it wouldn’t have mattered how much I thought about it sometimes it’s just the process of doing it that open you up to learning amazing, new and different things both from yourself as a personal perspective, but also I never imagined I’d be doing a podcast, you know, I’m nearly a year’s worth of podcasts down the road, never in a million years did it even cross my mind. But it was the possibility of reaching a million women that led me to say, “Okay, well, it’s not probable that I will achieve it, but it is possible, so if it is possible, how will I do it?” You know, of which a broadcasting mechanism is a lot easier than doing it one by one by one. Anna: 45:36 Well that’s a great question, as you said, okay if it were possible how could you do it? So it’s not … you can almost take a step back and distance yourself from the question, it’s not I have to do this now, how am I going to do it, but really if you were to do it, how would you go about it, which is a different kind of question. Anna: 45:51 And I couldn’t agree more with you, the people I’ve met, I mean just having a chance to speak to people like you, which I would never have had in my normal work, even coming on podcasts for me as well is something that wasn’t on my radar, publishing a book, traveling the world, I’ve since fallen in love, all of these things happened. I feel so much more centered in myself, and happy, and free, and all these wonderful cheesy things, but you know, all of this has come about thanks to those few little steps I took at the beginning in terms of maybe getting out of my comfort zone, going traveling, and ultimately quitting my job. Well, I say ultimately, but again, that was the beginning of the journey rather than the end. Lisa: 46:27 Absolutely. So I mean, it’s been fantastic to talk to you and I could probably take another hour. But how would listeners get hold of you? How would they learn more about you, about your book, about all of the things that you’re doing, and learn more from you and your journey? Anna: 46:43 Yes, and thanks so much, I’ve loved it too and I could babble on for hours but I imagine people are getting a bit bored for us. So the book is LeavingtheCorporateNinetoFive.com, or hopefully it should come up on Amazon as well. And my brand is One Step Outside, so I’m at OneStepOutside.com, and One Step Outside on Facebook as well. It comes from the quote that everything we’ve ever wanted is one step outside our comfort zone, so hopefully that’s given your listeners inspiration, a little bit of push, maybe the encouragement to take a few steps toward their big goals and dreams. Lisa: 47:13 Oh and that’s a fantastic quote, it really is. And could be thought of for a long time. But thank you so much for taking the time to come and chat. For all the listeners out there, I really do suggest that you learn more about this, what a fantastic case, and thank you for coming. Anna: 47:27 Thank you, Lisa, thank you. I really enjoyed that interview, and encourage all of you who are just thinking about, even if it’s just a second side hustle, and listening to the stories of people who have been there, done that, got the t-shirt. It’s one of the things I love most about my podcasting journey, is the opportunity to really just take time to listen to others’ stories. I always learn something, it always furthers me. And in this series that we’re doing on having a side hustle, an extra little bit of money, one of the things that I really get back to all the time, which we discussed in the interview, is understand your why. Understand what it is that you want to achieve, where it is that you want to be, and I guess when it comes to a side hustle, what would you do with an extra $1000.00, or 10,000 grand. And it comes back again, and again, and again, what is that why? Is it that you need more money from a side hustle? Or is it that actually what you’re wanting to explore is passion? This morning I had a great breakfast with a friend and we were talking about this thing of really being aligned with your work and your passion. And sometimes your passion can’t immediately be the thing that replaces your income. But as you build it slowly, you never know what’s going to happen. Open yourself up to opportunity, open yourself up to the potential of what lies ahead. I’m Lisa Linfield, and head over for the show notes to WorkingWomensWealth.com. And you can find all the links there, as well as the opportunity to interact more with us, and with our guests. Take care and have a great week.